“Know your own happiness. Want for nothing but patience —or give it a more fascinating name: call it hope.” Jane Austen, Sense and Sensibility. When “life seems but a quick succession of busy nothings,” as English novelist Jane Austen put it centuries ago, one might perhaps need to try her advice to “indulge [one’s] imagination in every possible flight”. It was a cool, serene night. The dim lights of the candles combined with an aromatic scent and the soothing tunes of classical music pampered our senses into a relaxed mood that helped us take a deep journey into our souls and perhaps connect with the divine within. “Sit comfortably and stretch your body into a relaxed state. Close your eyes and breathe regularly. Focus on nothing but your breath, putting your hands on your stomach and chest to get a feel of every breath flowing in and out,” our instructor, certified coach Amina El-Karamany, said in gentle, compassionate voice. What happened next was that we tried to lull our busy minds into a temporary slumber as our brains got wired onto a different frequency. The idea of meditation is that the breathing and the mind work in tandem, so the more we focus on breathing the more we help the brain waves slow down. “There are five major categories of brain wave, each corresponding to different activities,” explained El-Karamany. 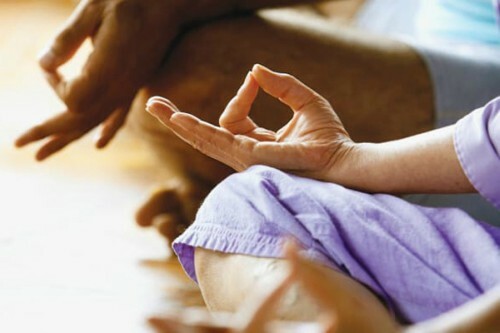 Meditation can enable us to move from higher frequency brain waves connected to higher activity to lower frequency ones that professionals say provide an opportunity to think more clearly. 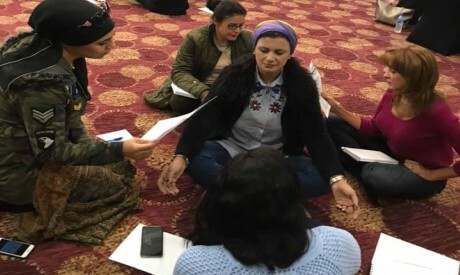 We felt more at ease as we delved deeper into the meditation session that made us more receptive to the positive vibes of self-love and appreciation that El-Karamany tried to induce through professional mindful relaxation techniques taking us into a journey into our inner space. Welcome to the world of life-coaching, where meditation is used as one of many self-healing techniques. “It helped me to heal wounds that were decades old, really heal them,” wrote one client about the sessions on his Facebook page. But what is life-coaching and is it worth trying? Life-coaching has emerged worldwide over the past two decades as a trend that can sometimes stand in as perhaps a more socially acceptable alternative to psychotherapy. It can also be seen as more professional help, though a definitely more costly option, than that offered by a close friend. Coaches define their job in different terms, but the bottom line is that it is a technique that helps people change in the way they wish, unleashing their inner potential, healing inner wounds in a way that will lead them to reach their goals, having healthier relationships, and becoming happier, more fulfilled individuals. It was first associated with top athletes who used to hire a life-coach to help them maximise their potential physically and mentally. But it then developed to also include many areas of life when coaches would partner with their clients in their journey to achieve better careers, lose weight and keep fit, have more successful relationships, and adopt techniques of positive parenting. But walking on the thin line dividing psychotherapy and close friendship may be tricky, because unlike psychiatrists who are medical doctors almost anyone can find a niche in the coaching business after receiving a few training courses. It is a profession that does not have any kind of oversight and not all those certified are eligible coaches. But as life has become increasingly challenging, leaving more and more people in the doldrums of solitude, unhealthy relationships, and professional challenges, a growing number of clients are ready to try their luck with coaching. In an article entitled “The Context of Coaching” in the International Journal of Coaching Organisations, US writer Frederic Hudson, author of The Handbook of Coaching, explains why coaching has gained popularity. Having successful love relationships, supposedly one great source of happiness, have also become more challenging. Even the strongest relationships can break under increasing stress and unmet expectations, and divorce rates have been on the rise almost everywhere. The past 10 years have thus seen substantial interest in life-coaching throughout the world, and by 2012 it had become a $707 million business in the US, according to figures from the International Coach Federation (ICF), a professional organisation providing accreditation to personal and life-coaches. According to the ICF, there were only 1,500 coaches in 1999. A 2013 survey found that number had risen to 17,000 across 34 countries charging an average of $229 for an hour-long session. “Despite a lack of regulation or uniformity in training, the practice has become wildly popular, with the industry growing to an estimated $2 billion a year,” the UK Guardian newspaper noted in a recent article. Facebook has provided a global platform for those advertising coaching services, and not a day passes without stumbling over a handful of advertisements for individual and group sessions with many appealing titles. “Becoming whole again”, “preside meditation”, “the path of healing: dealing with inner conflict”, “how to love oneself as a gate to self-healing”, how to have healthy relationships, how to motivate yourself, how to lead a fit and healthy life and keep in shape, “how to heal the wound of I’m never good enough” — these are some cases in point. The courses are all expensive, but the main theme that seems to bind them together may still be that all are worth paying for if coaching can make us happier individuals. But will it? It depends on each person’s experience. It was hard to reach clients who had gone through the experience as it is largely a confidential business in Egypt. But many clients were crediting their coaches for helping them improve themselves on international coaching sites. Coaching was introduced to Egypt some 10 years ago, but it has only flourished very recently with many taking it up as a profession and advertising their activities on social media. There are now many courses offering a career in coaching and many workshops teaching self-healing techniques. But, as is the case the world over, it is challenging to find a good coach in Egypt since the business does not have any kind of supervision or government oversight. And coaching does not come cheap for average people, since the cost of a one-hour session ranges between LE500 and LE1,300. Certificates are sometimes obtained over a three-day weekend and sometimes even from unqualified instructors. Some call themselves coaches when they are not, and, as is the case everywhere, there are those who “set up shop on the strength of charisma alone, aided by self-promotion on social media sites,” wrote retired US healthcare reporter Elizabeth O’Brien on the website Nextavenue.com. While a doctor who violates the ethical standards of the medical profession risks losing his licence if a patient forwards a complaint to the Doctors Syndicate, unqualified coaches risk no such sanctions. The ICF’s chapter in Egypt has no mandatory powers to oversee the profession or revoke licences. “It just gives you a list of certified coaches, but it cannot recommend one, and there is no guarantee that those listed are all good since they pay for being listed,” explained mentor coach Mushira Anter. At the time, Anter continued, “the term coaching was hardly known in Egypt, and that in itself was challenging.” But coaching has since taken major leaps forward. “Many people opt for the courses because they think they are easy and do not demand long years of study,” Anter said. “They take an average of 114 hours to be a certified coach.” Anyone can apply and follow the course. It is a profitable business, of course, but she insists that is not the only reason. “Many people find it interesting because they love people and want to help them, and many just take the courses to help themselves and their loved ones,” Anter said. She suggests referral from a friend as perhaps the safest way to choose a good coach. “It’s a matter of trial and error, and if you find a coach that doesn’t work for you, just quit. There is no harm done since a coach does not treat you or give you medication,” she said. But there may still be the risk of losing money and perhaps there could be a physical risk involved in the case of health-coaching. “Clients have to check the licensing because health-coaching remains new to Egypt and there are many cheap ones on the market,” warned nutritionist and health-coach Mai Amer. She explained that the difference between a health-coach and a dietician who has a clinic is that the coach “is online with his client all the time”. The coach accompanies his client throughout the process, helping through the ups and downs of dieting. But it remains a challenging job in Egypt where health awareness can be low. “Most clients only care about losing weight and getting in shape. Few actually care about leading a healthy life and getting energy or realise that they are what they eat,” Amer explained. Life-coaching is more popular than health-coaching in Egypt, and despite the fact that Egypt remains comparatively lucky with its warm relations and strong family ties, coaches insist there is a growing market for personal coaching too. “We were brought up to have many unnecessary fears, and we fear doing so and so in case something occurs. These fears, together with the many social boundaries that exist in Egypt, have grown into an imaginary figure controlling our lives and curbing our potential. If these fears remain ignored for a long time, they can accumulate into a state of anxiety and depression, the two most widespread psychological issues in our society,” Abdel-Ghaffar said. Talking to a friend may help vent inner stress, but it seldom heals it. “When you talk about a problem, you may just recycle fears and worries,” according to Abdel-Ghaffar. A friend, who may also be a victim of similar social boundaries and fears, may also suggest sometimes inconvenient solutions in an attempt to help. Unlike a friend, a coach does not provide advice, but instead asks enlightening questions that can help the client find his own solution and discover his own potential. This, according to Anter, is the most challenging part of coaching courses that “need a lot of training since not all people are capable of it”. “My advice would reflect my own experience and beliefs, which would do you no good, and your decisions should stem from your own experiences and beliefs not mine,” Anter explained. The coach would rather help his client revisit his own beliefs and rid himself of “those acquired by society” than give prescriptive advice. “We ask clients ‘what if’ so and so happens until they are capable of viewing things differently, ridding themselves of many unfounded fears, recognising their unique potential, and ultimately pondering new choices that could allow them to better use their good points,” Abdel-Ghaffar explained. “So, coaching is about helping you patch up the holes in your inner self, building you up from the inside in a way that makes you stronger in the face of life’s ups and downs. You ultimately feel happy to be empowered and may see problems as no more than just a normal part of life,” she said. There have been times when El-Karamany would not answer friends’ phone calls or messages. But those who know her well understand why. El-Karamany sometimes has to shut herself off and “give herself totally” when she has an online coaching session with her clients. Coaches should also have their own personal coaches that can help them vent any negative energy they receive from clients. Hiring a coach also helped El-Karamany before she embarked on it as a profession. “My coach lived in France, and I used to pay in euros, but it was worth it,” El-Karamany recounts. “She helped me understand my true self and see the world as having many more choices. A two-year search for a misplaced ‘me’ ended by an awakening experience where I saw life differently and I met myself once again,” she said. Ten years ago, El-Karamany was bogged down in her personal life and career when suddenly she had a moment of enlightenment. “I was in England for a vacation, and there I started to reorganise my thoughts,” she said. “I found that, yes there are many choices that I could make, and that life is simply perfect. I decided to remain in my previous job for a couple of years until I had reached a specific target, but the simple fact that I could see that decision as an option, not an obligation, made me feel stronger and happier,” she said. Not that coaching can always promise happiness and no pain. 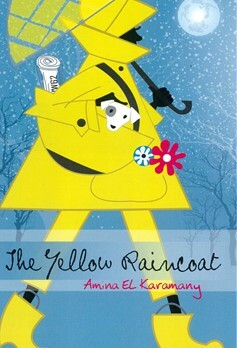 “Pain is part of our lives that we need to feel for numbing it is not normal either,” El-Karamany went on. “Coaching is not just therapeutic; it is more about helping you be yourself, be alive and feeling every moment. We sometimes get too busy working, getting married and raising kids, to even realise what actually makes us happy,” she said. “I hope some pass your way,” she writes. Positive self-talk is one way coaches say can help you see those “colourful butterflies” passing your way. “A lot of recent research has found that the way we talk to ourselves forms our beliefs as they accumulate in our subconscious,” El-Karamany explained. Marisa Peer, one of the UK’s most famous therapists, was once quoted as saying that negative self-talk like “my kids are driving me nuts” and “my job is killing me” can be “dangerous because it has the power to shape your reality”. A job can be challenging, but it is not killing. “Science calls it neuroplasticity — if you do, or think about, certain things for long enough, new connections are formed in your brain. That’s how you learn. First it becomes your belief. Then your habit, and then your life,” Peer explained. The consensus is that we can limit our abilities and goals by assuming that what we want simply isn’t possible, or that we can’t achieve it, or are not good enough to deserve getting it, while sometimes putting our needs behind those of others. Such self-appreciation may also be crucial for having successful relationships, for recent research has revealed that a person’s relationship with others, and especially a spouse, can mirror their relationship with their self. But how to be happy has long been stumping experts everywhere. One 75-year-old Harvard University study from the US tracked the lives of thousands of people and came up with some interesting conclusions. “Social connections are really good for us: those who are socially connected with families and friends were happier, healthier, their memory stayed sharper, and they actually lived longer,” the study said. Conversely, it warned that “loneliness is toxic.” Those who were lonely had early memory loss and generally lived shorter lives. According to the study, it is the quality of close relationships, not how many friends one has, that matters, since people can always be lonely in a crowd. “It turned out that being in a high-conflict marriage and without affection is very bad, even worse than getting divorced,” the study concluded.